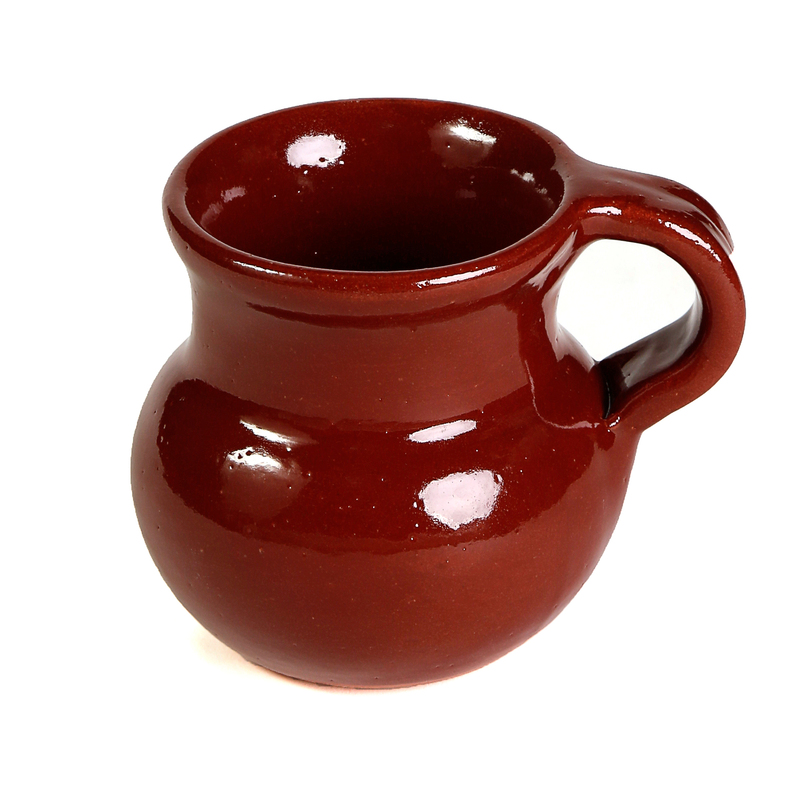 Our hand-made Mexican Jarrito is great for hot or cold beverages, like Jarrito Loco. The clay keep the heat or cold temperature for a long time, and nothing like sipping hot Mexican chocolate with it. Length 4.75 in (including handle), Width 3.25 in, Height 3.75 in, Diameter 2.75 in (opening) and Capacity 10 oz (filled comfortably without overflowing). Will last many years with proper use and care (each piece comes with a product information sheet outlining the Uses and Care for the product). Completely natural and safe, contains no toxins or lead. In the semi-desert region of Hidalgo, Mexico, our cazuelas are made by hand by artisans whose craft has been handed down for several generations.